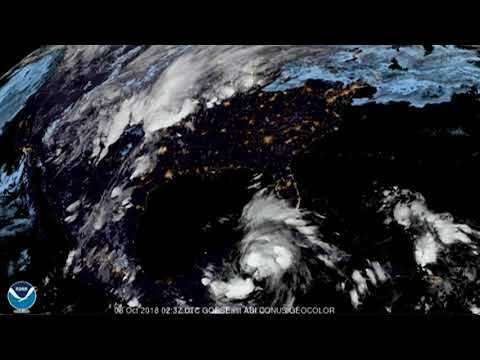 Tropical Storm Michael is almost a hurricane. According to the 7 a.m. Eastern time advisory from the National Weather Service, Michael's top winds were up to 70 miles an hour. It's located about midway between Cozumel, Mexico and the western tip of Cuba, moving slowly to the north, and is expected to enter the eastern Gulf of Mexico later today. The forecast track takes it inland over Florida's Panhandle or Big Bend region on Wednesday and a hurricane watch is posted from the Alabama-Florida border east to the Suwanee River.